DX7 II FD (FD stands for Floppy Drive). 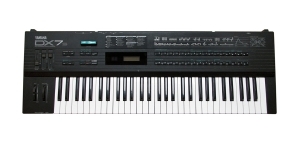 The version is equal to the DX7 II D with the addition of a floppy disk drive. The instrument offered 1MB of memory space which is identical to 40 RAM cartridges delivering thousands of voices and making fractional scaling, SysEx data available. 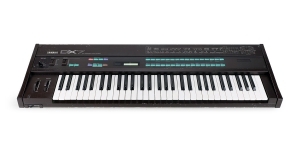 Performance Synthesizer, Digital (D), Voices: 16, Multi Timbral Capacity: 2 part(s), FM Operators: 6, Initial Touch, Aftertouch, Velocity Sensitivity, Size: 6.5, Number of Keys: 76, Production start: 1989. 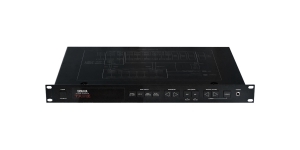 Sound Module/ Tone Generator, Digital (D), Voices: 8, Multi Timbral Capacity: 8 part(s), Production start: 1987, Production ended: Yes. Sound Module/ Tone Generator, Digital (D), Drum/ Percussion Channels: 32, Voices: 16, FM Operators: 6, Production start: 2001, Production ended: Yes.